Kitzbühel, Kirchberg and Mittersill offers many sportive adventures, cultural enjoyment with the finest relaxation. The nature-bound guest has impressive sights to choose from. The best thing about this: comfort and magnificent panorama views over the Kitzbüheler Alps are not to be missed. Visit us and you will be amazed! Say thanks with a personalised voucher – and benefit from its unlimited validity and instant availability. 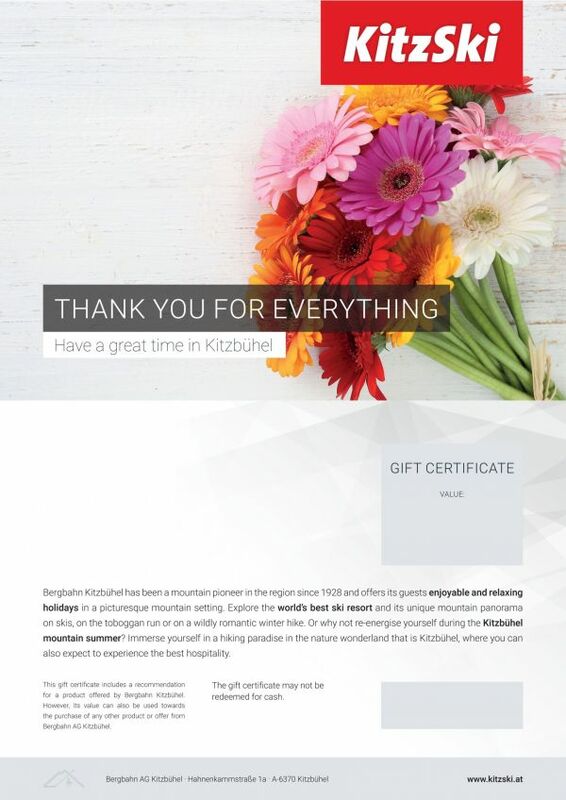 A KitzSki voucher is a gift of unforgettable experiences and true adventures.